The beauty and fairness industries are becoming two of the largest business trends throughout the world. Sales of relevant products and services including cosmetics, salon, spa etc. are skyrocketing. All of these suggest that this is an excellent time to enter into any of these industries. There are lots of opportunities opening up in these industries to work as freelancers, business owners or practitioners. However, in order to be successful in these industries, you need a professional website about your products and/or services. If you are thinking about developing a spa, salon or beauty website, you have come to the right place. In today’s post, I will introduce you to the 20 best spa, salon and beauty themes for WordPress. 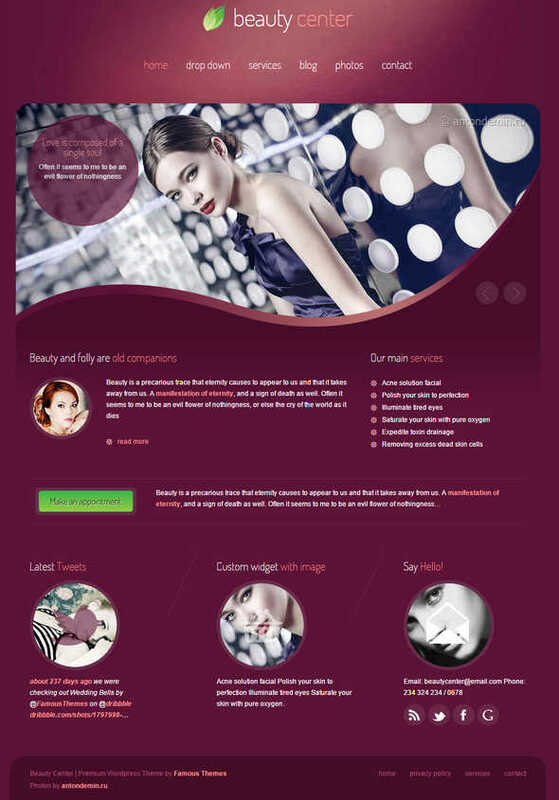 The developers created this theme after studying lots of existing beauty websites. 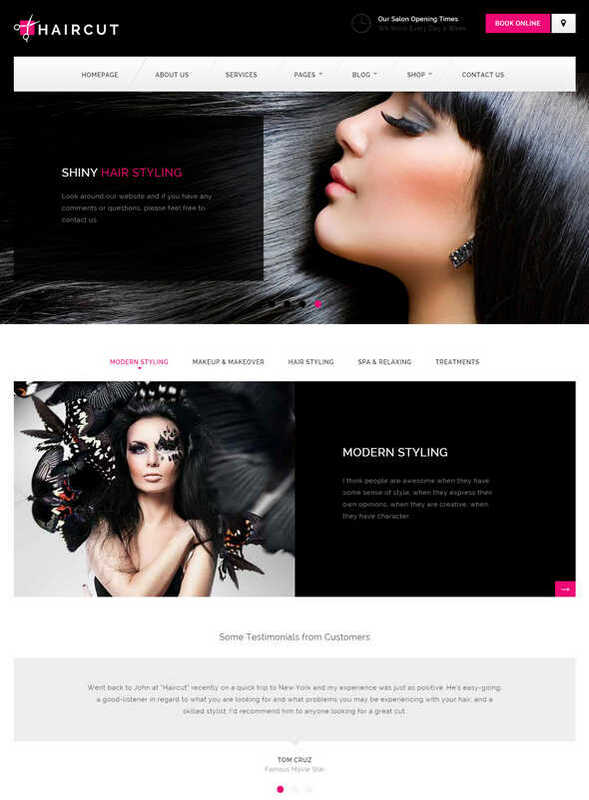 The final result of their work, this excellent WordPress theme comes with all the necessary options for creating fully functioning spa, beauty care, hair styling, massage or cosmetology websites. 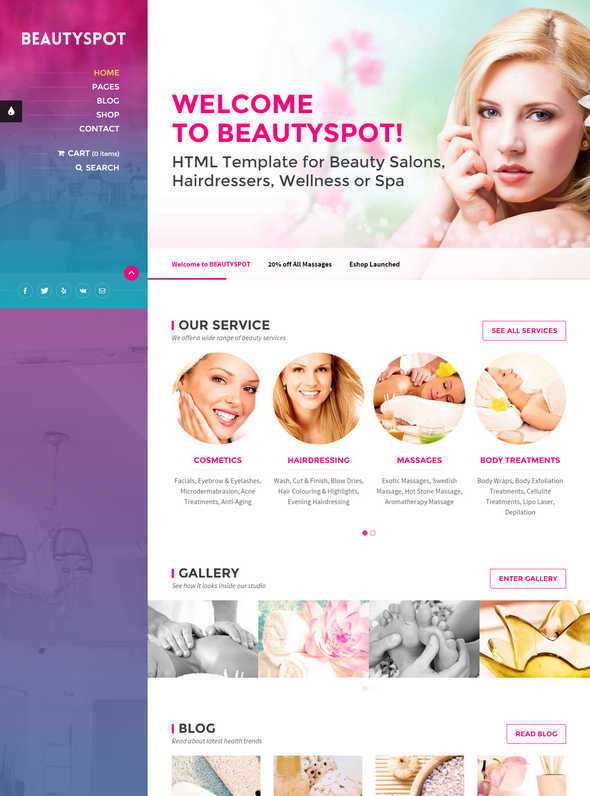 BeautySpot is a professionally designed WordPress theme for creating beauty salon, spa, hairdresser or any other niche site. The retina-ready theme comes with a drag and drop page builder and a powerful shortcode generator. This hand-crafted beauty theme comes with lots of useful features including multiple menu designs, reservation, product and a powerful options panel. As the theme supports WooCommerce, you can also sell various products from your website. 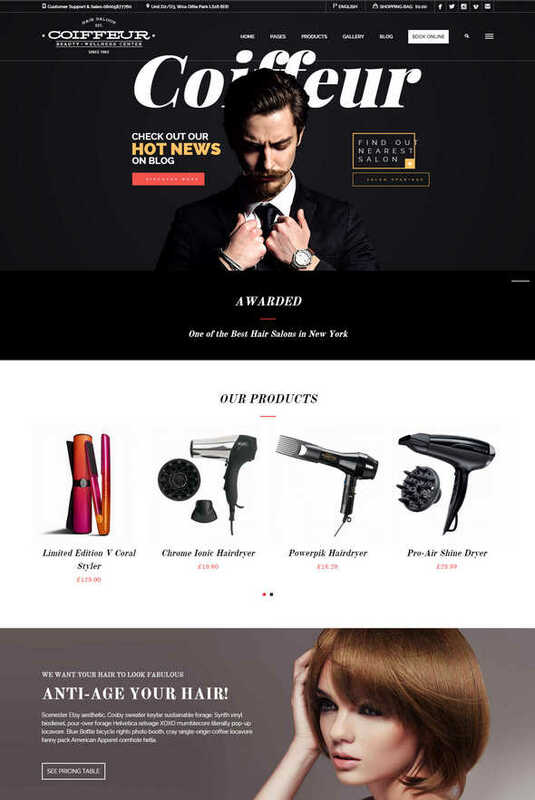 This flexible WordPress theme is especially designed for creating hair salon, barber shop and beauty websites. The multi-page theme comes with a fully responsive, retina-ready layout. You can easily get your website started with one of the readymade color skins. 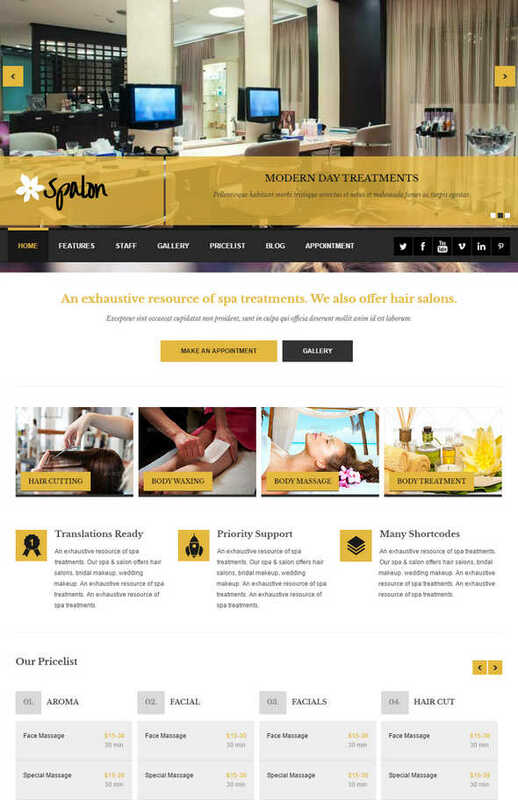 Spalon is another excellent theme for creating simple, beautiful spa, beauty, wellness or massage centre websites. The fully responsive theme is provided with several page templates, unlimited sidebars, 9 custom widgets and full localization support. 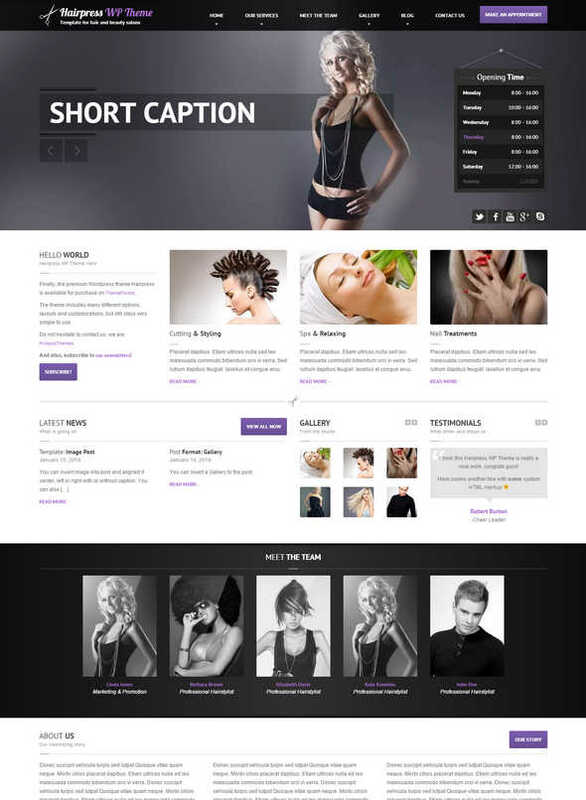 Featuring a unique, attractive design, Haircut is a modern WordPress theme. The multi-purpose theme comes with sticky navigation, unlimited sidebars, sample content, online booking and full WooCommerce support. 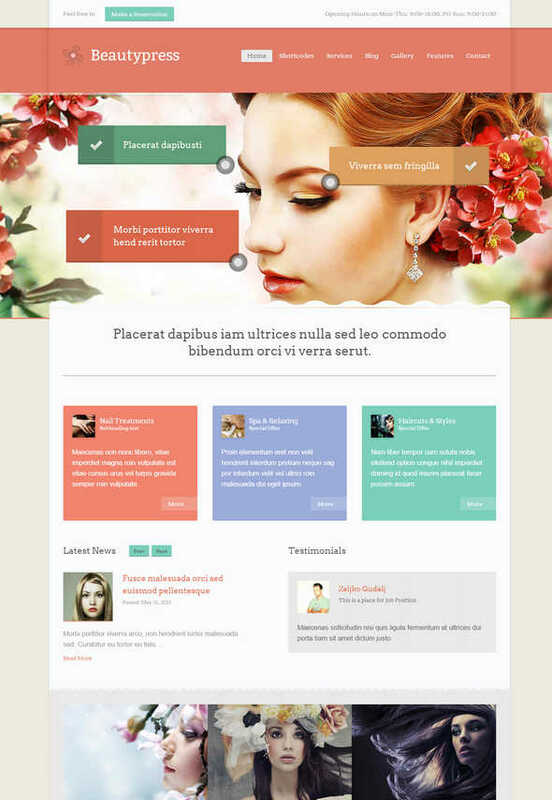 You can use the theme to create spa, barber, manicure or beauty websites. Besides creating gorgeous hair salon and hairdresser websites, Coiffeur theme could also be used to create spa, beauty and massage sites. The very flexible theme has powerful features like multiple home page design, 20+ page template, unique pricing table, custom widgets etc. 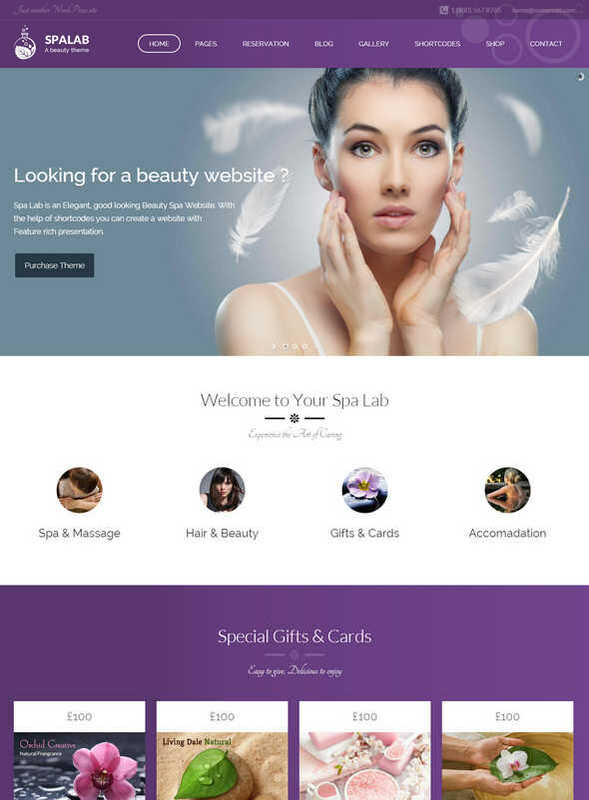 If you are looking for a fresh, modern WordPress theme for creating your next spa, salon or beauty websites, Dream Spa could be an ideal solution for you. The beautifully designed theme comes with a powerful page builder, premium slider plugin, multiple header design and several custom post types. 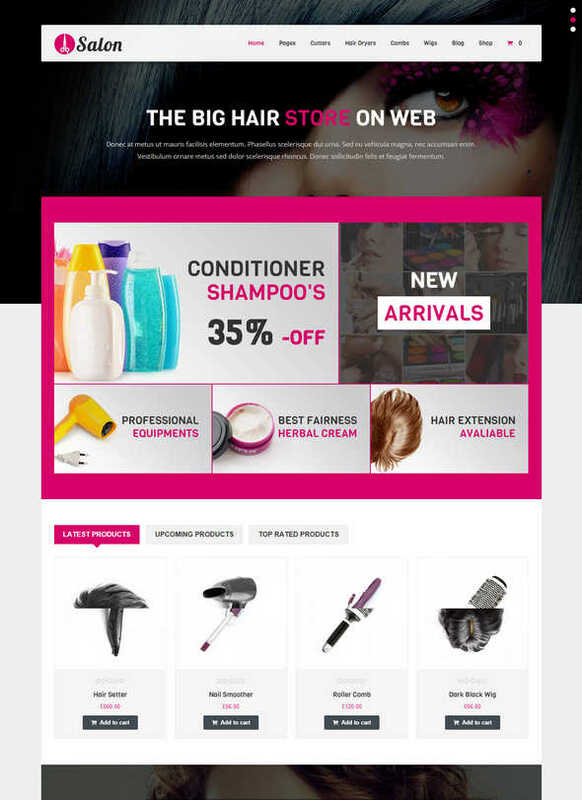 As the name suggests, HairPress is an exclusive WordPress theme for creating impressive looking hair salon, beauty shop or wellness websites. The WooCommerce and WPML-compatible theme features an intuitive theme options panel, custom fields and an in-depth theme documentation. 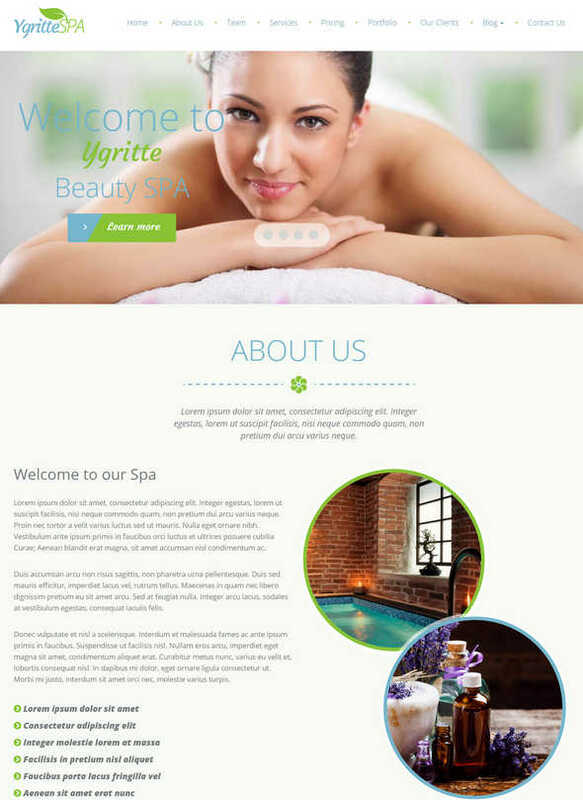 This fully responsive WordPress theme is perfect for creating spa, health care, salon and beauty websites. The fully localized theme supports WooCommerce, multiple custom post types and several gallery options. By using the custom shortcodes, you can easily create complex elements within a few minutes. The powerful home page builder of BeautyPress lets you create unique layouts for your spa, salon or beauty website. By using the integrated Revolution Slider, you can create awesome slideshows for your website. You will also find the custom widgets, shortcodes, sidebar manager and Font Awesome icons very useful. Limon is a dynamic WordPress theme with 18 color schemes, 7 background patterns, unlimited sidebar and a powerful options panel. The theme also comes with a dedicated Facebook fan page feature, which could be controlled from your website. 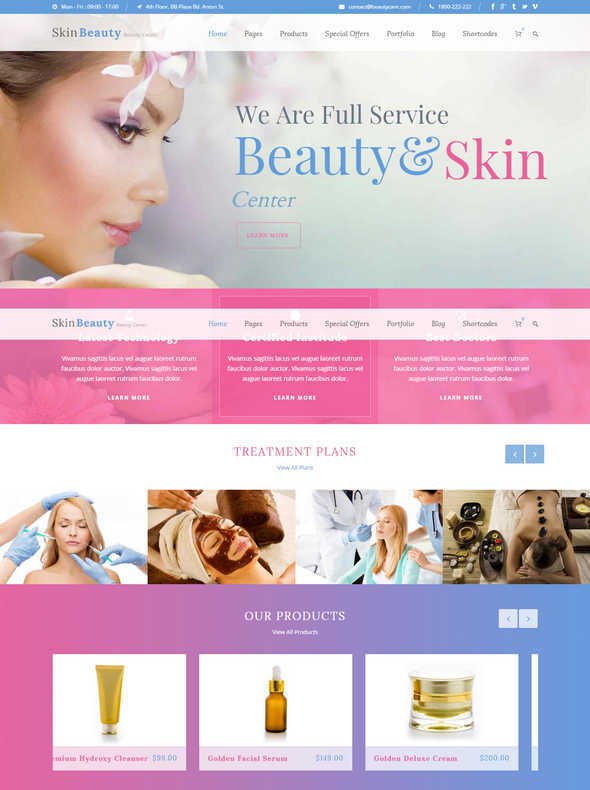 Beauty Center is a perfect WordPress theme for creating beauty, spa, salon or any health and beauty related website. The custom admin panel lets you control every aspect of your website from one location. The mobile-ready theme also comes with multiple custom widgets and lots of shortcodes. Inspired by the huge popularity of the original Beauty Salon theme, this is a completely redesigned and upgraded version of the theme. Based on Bootstrap framework, the theme works perfectly in mobile and tablet devices. The retina-ready theme is also optimized for providing you with maximum SEO exposure. 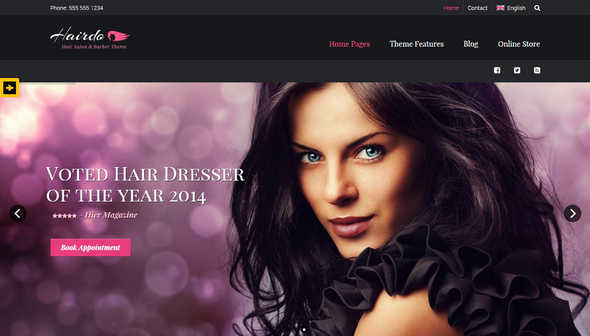 SALON is an excellent WordPress theme with complete WooCommerce integration. The simple and beautiful theme lets you create your own salon, spa or beauty website within a short period of time. The custom widgets and custom post formats make sure that you can display all the necessary information in a simple and easy way. 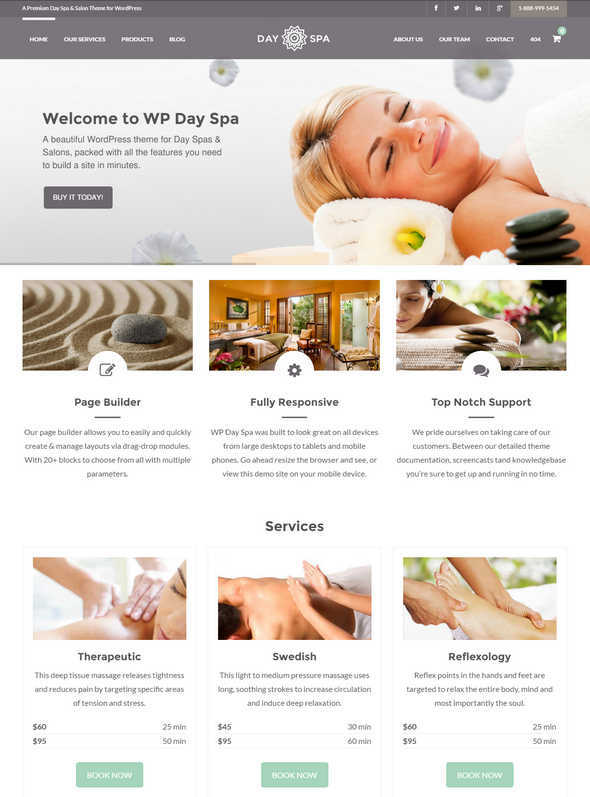 With a modern, elegant design, WP Day Spa is a wonderful hand-crafted WordPress theme. The theme lets the visitors book reservations in advance. The fully localized theme is provided with unlimited color skins, Slider Revolution integration and lifetime update features. Powered by Klasik framework, Beautiful is a modern, fresh WordPress theme for creating health, beauty and spa websites. With support for more than 500 Google fonts and 40+ shortcodes, the powerful theme also comes with a responsive and retina-ready layout. 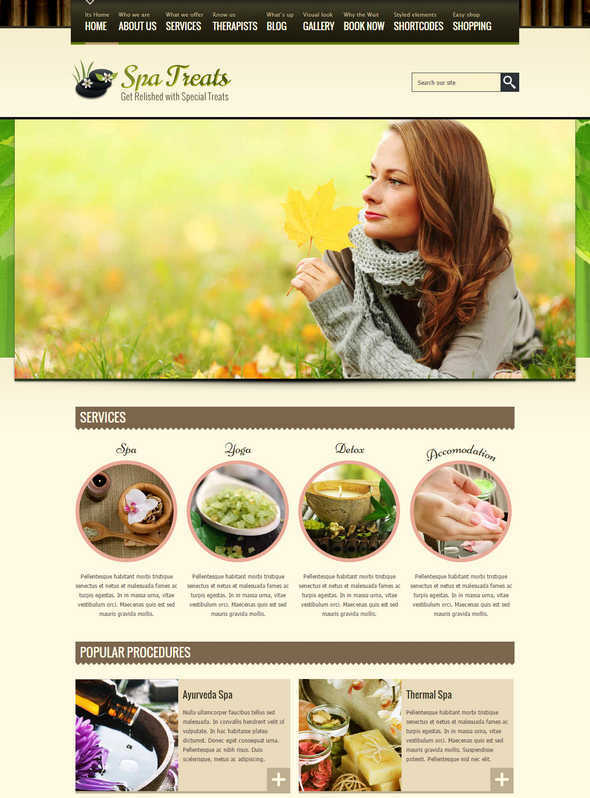 This beautifully designed theme could be easily used to create attractive spa, salon or beauty websites. The one-click demo importer will get your website started within minutes. Besides the intuitive theme options section, the theme also comes with Slider Revolution and lots of custom shortcodes. 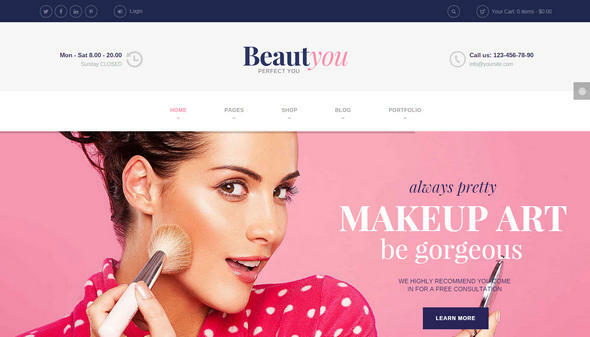 This WooCommerce-compatible spa, salon and beauty theme lets you create attractive looking websites. By using the custom page builder elements, Google Fonts, integrated mega menu, sticky header and Revolution Slider, you can easily create unique layouts for your website. 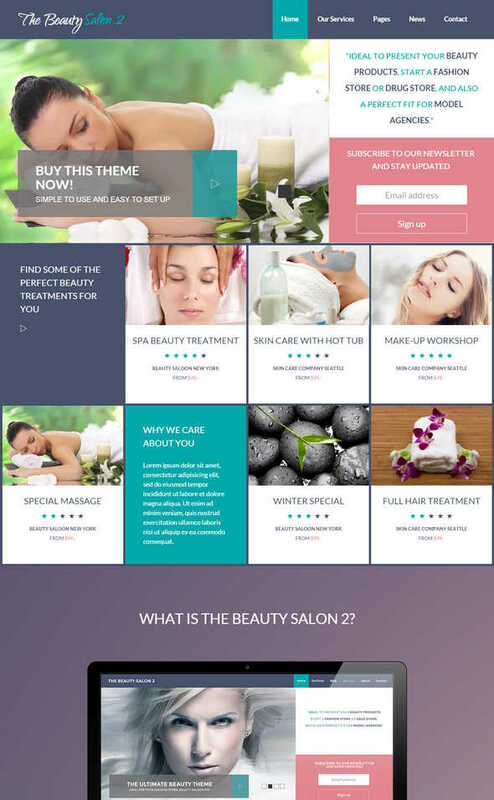 Skin Beauty is a carefully designed WordPress theme for creating spa, salon, healthcare, massage, yoga, makeup and beauty websites. By using the custom products layouts of the theme, you can easily display some of the best-selling products. The integrated Master Slider lets you create stunning slideshows for the home page. Thanks for adding our Dream Spa, Spa lab, and Spa Treats. 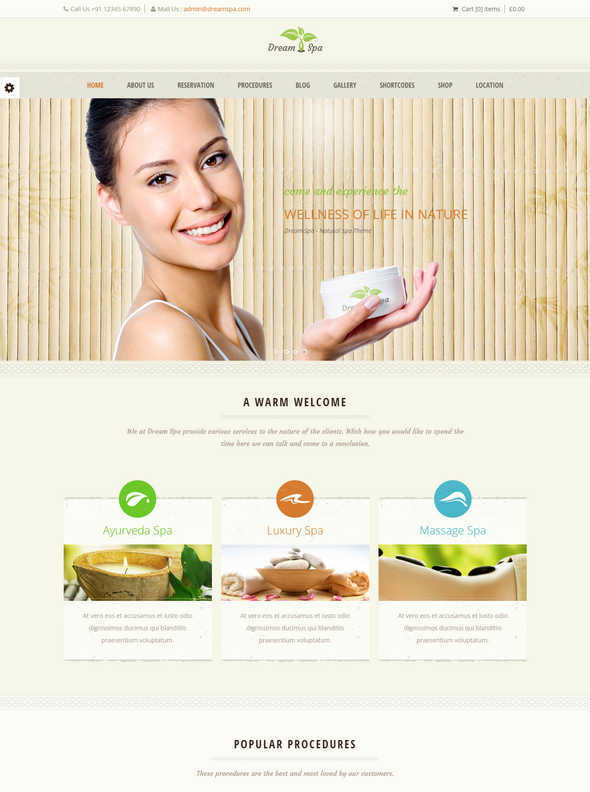 Our new Nature Spa WordPress theme got approved on Themeforest before few weeks. 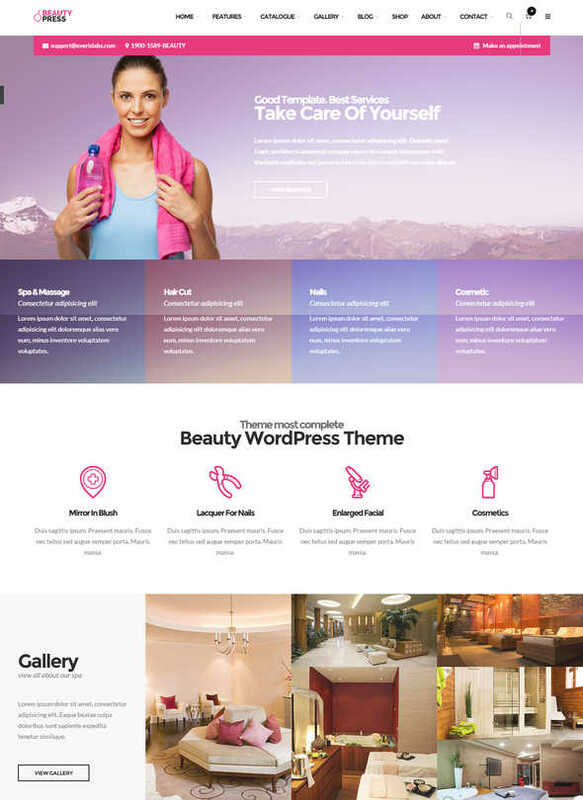 We have created this WordPress theme with excellent design and powerful features well suits for Spa and health resorts, yoga centers, holistic wellness centers and other health-related sites. Make a glance on our theme. We are waiting to view our theme on your page.